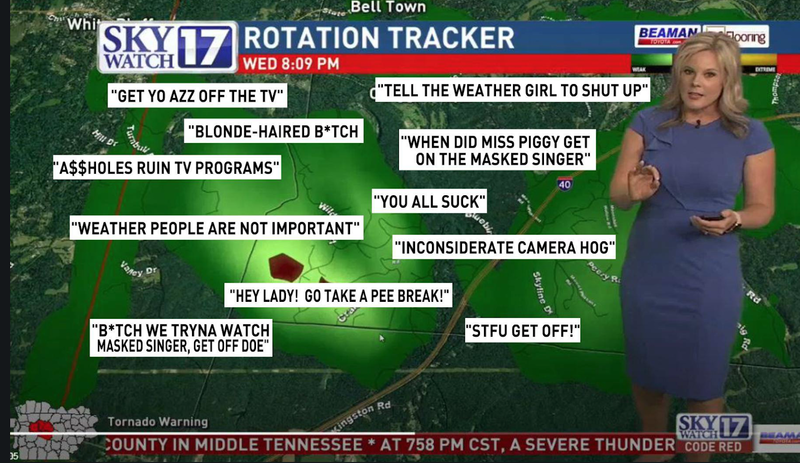 She was on the air last week warning of flash flooding where two people died! 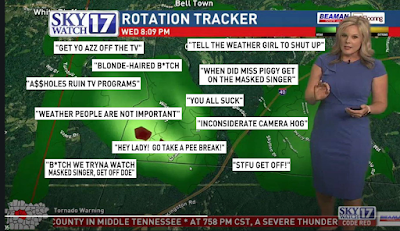 Yet, instead of being worried about their fellow citizens, they were worried about watching their program and taking it out on meteorologist Katy Morgan. It seems women meteorologists still are not accepted for their competence or expertise.